A Japanese woman who is believed to be the world's oldest person of our time has reportedly died in a hospital on Saturday. 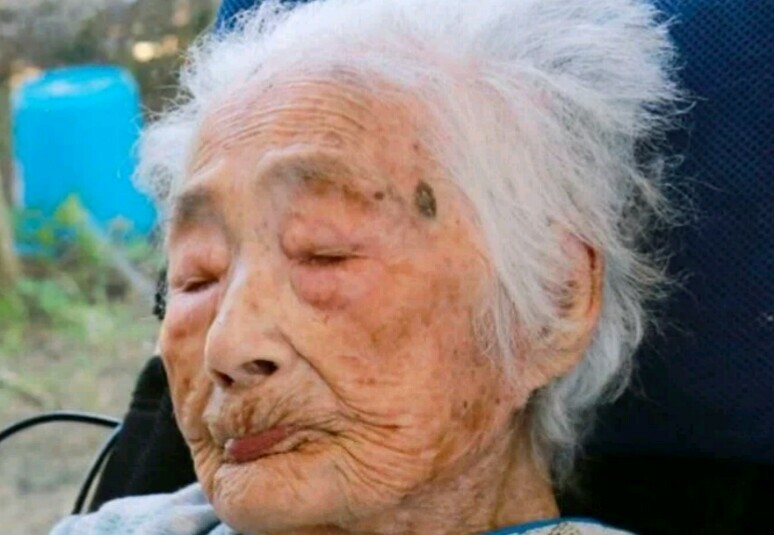 Nabi Tajima, the great-great-great-grandmother regarded as the world's oldest person has died in Japan at the age of 117, ABC News reports. An official in the southern Japanese town of Kikai said Nabi Tajima died in a hospital on Saturday night. She had been there since January. Ms Tajima was born on August 4, 1900, and reportedly had more than 160 descendants, including great-great-great grandchildren. Her town of Kikai is in Kagoshima prefecture on Kyushu, the southernmost of Japan's four main islands. She became the world's oldest person seven months ago after the death of Violet Brown in Jamaica, also at the age of 117. Guinness World Records certified 112-year-old Masazo Nonaka of northern Japan as the world's oldest man earlier this month, and was planning to recognise Ms Tajima as the world's oldest person. The US-based Gerontology Research Group said another Japanese woman, Chiyo Yoshida, was now the world's oldest person in its records. She is due to turn 117 in 10 days. Ms Tajima's death comes three days after the death of Celino Villanueva Jaramillo, who claimed he was 121 years old. Mr Jaramillo's ID card stated he was born on July 25, 1896, but he was not recognised as the world's oldest person by Guinness due to a lack of official documentation. The Chilean lost his birth certificate in a fire that burned his house down 20 years prior.